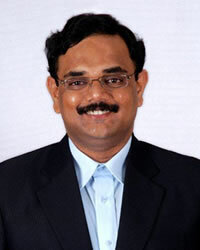 Dr J Vijay Venkatraman is a Diabetologist, Drug Safety Physician and Entrepreneur, with 16 years of experience. 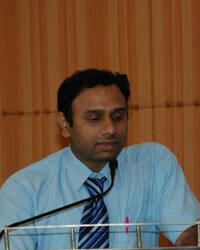 He holds a MBA degree in Services Management. He is the first Indian to have been conferred the Fellowship of the Pharmaceutical Information & Pharmacovigilance Association (PIPA), UK. Dr Vijay founded Oviya MedSafe, a global Pharmacovigilance Consulting & Drug Safety Services company incorporated in Coimbatore, India and London, UK, which has been fulfilling the compliance needs of the global pharmaceutical industry since 2012. Dr Vijay holds the honorary position ‘Regional Editor, India’ of Global Forum, the official magazine of the Drug Information Association (DIA). He has been the Chair of the Pharmacovigilance Council of the Indian Society for Clinical Research (ISCR), since the inception of the council in 2015. 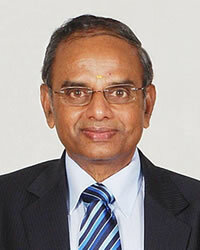 Dr Vijay is an invited speaker and chairperson in national and international conferences. He has numerous publications to his credit. He is a member of several professional associations and is actively involved in promoting pharmacovigilance awareness among all stakeholders of the discipline. Dr Vijay is a recipient of many awards including the ‘Leadership Excellence Award’ and the ‘State Appreciation Award for Co-ordinating Academic Activities’ by the Indian Medical Association. Oviya MedSafe has been positioned to leverage its expertise in Pharmacovigilance, an industry which is evolving with new and updated regulations day by day. We are capable of providing modular solutions in terms of Drug Safety services, along with regulatory-compliant drug safety database access, as required. We aspire to bridge the crucial gap in the industry where end-to-end pharmacovigilance services are always in demand. With a panel of well-experienced expert clinicians to support our full-time medical review safety physicians, we possess the abilities to handle physician projects as well. Oviya MedSafe is fueled by a passion for pharmacovigilance. We not only assure timely delivery and highest quality of our services but also ensure that proper business continuity and disaster recovery plans are implemented in order to resume the key business activities within a short while. Your data confidentiality is our topmost priority. Therefore, our business model ensures that your data with us is as safe as it is when it is with you. Our global delivery centre is equipped with the state-of-the-art infrastructure and qualified drug safety teams to handle your data with utmost care. We bring a lot of energy and dynamism to the table, along with years of pharmacovigilance, medical and management experience. Contact us with your requirements and be assured of unique and unparalleled services.